A decision was taken by the UK Department for Transport to block Stagecoach/Virgin for applying for the three franchises currently up for grabs. I am deeply concerned over the future of the Virgin service that travels from Holyhead – via Flint – to London Euston and want to see it maintained. The Transport Minister must take this seriously to ensure that services are not lost between North Wales and England and shouldn’t be trying to score party political points as he tried to do in answer to my genuine question. I received confirmation from the Department for Transport today (04 April 2019) that Flint will become one of only 73 stations across the UK to receive funding to improve accessibility at its station. Following the announcement by Network Rail that a pot of £300m was to be made available for stations across the UK to further extend the Access for All programme between 2019-2024, I wrote to Network Rail placing a bid for Flint to receive funding. Access for All was launched by the last Labour Government in 2006 and has installed accessible, step free routes at over 200 stations, opening up new access to rail journeys. Passengers using another 1,500 stations have also benefited from smaller scale access improvements because of this scheme. Since the introduction of this Labour scheme 75% of rail journeys are now through step-free stations, compared to only 50% in 2005. My nomination for Flint station was one of over 300. Flint station will now be, subject to a feasible design being possible, receive an accessible route into the station, as well as to and between both platforms. All work at the stations receiving the funding is due to be completed by the end of March 2024. This is excellent news for Flint and rail passengers from all over Delyn. As soon as I heard that funding was being made available I put in an application as Flint desperately needed upgrading to ensure that everyone could use it no matter what their mobility levels. As many of you will already know, the only way to access both platforms from the ticket office is via two footbridges. These do not have step-free access and mean that people wanting to have step-free access have to take a huge detour under the railway line. Being one of only 73 railway stations in the country to receive this funding is a big vote of confidence in Flint station. It shows that Network Rail see the importance of our station and how it needs to be part of the modernisation of the network. This is the first step in making the North Wales coastal railway truly accessible for all. Investment in our railway network is of the utmost importance. Going forward I want to see us unlock direct routes between our network and Liverpool so that we can benefit from the economic growth in our largest nearest city. 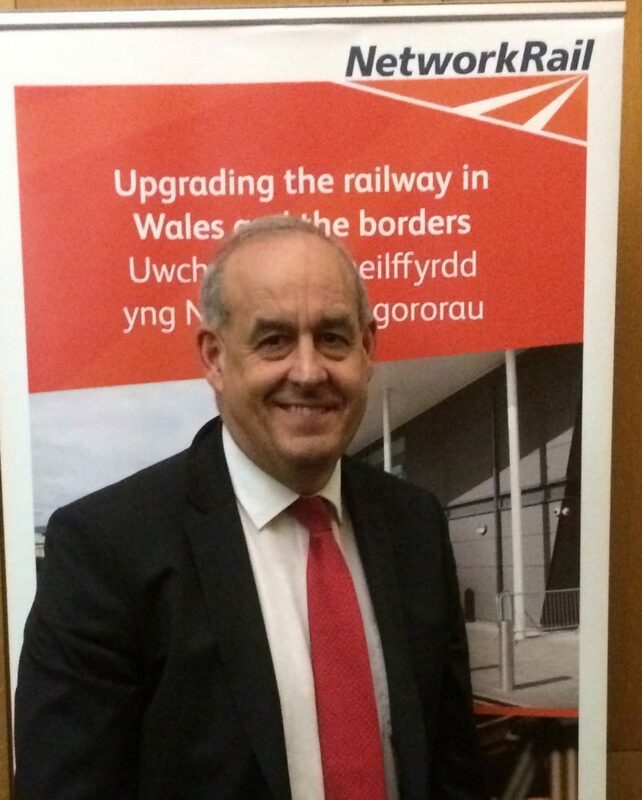 I will continue to lobby Transport for Wales and Network Rail to see Delyn’s railways deliver even better services. This week I had the opporuntity to meet with representatives from the Network Rail team who oversee rail improvements in Wales. It was a really productive meeting as I was able to press for investment to Flint station to improve accessibility for people with disabilities, ensure that signalling is improved and hear what access is being taken to remove rubbish from the land next to the tracks. It is important that we can hold meetings like this and I hope to hear if Flint has received funding for access improvements in the next couple of months. 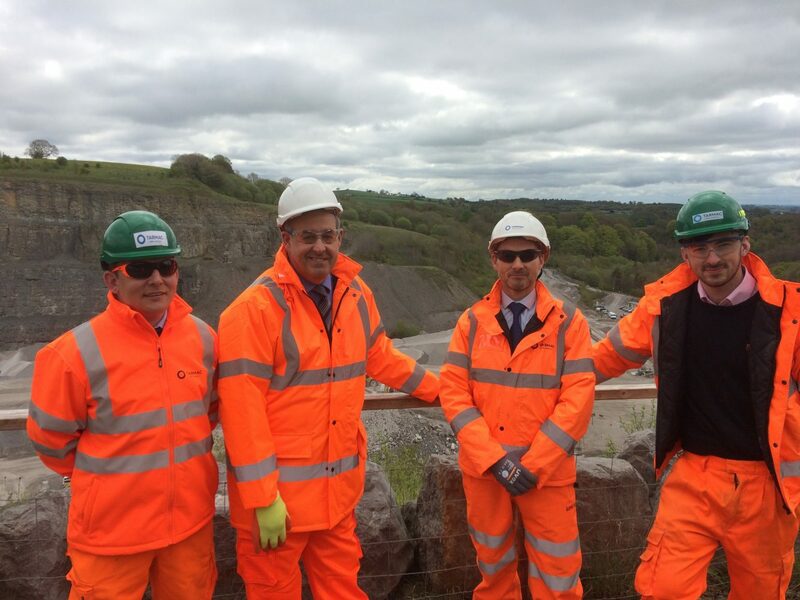 I recently visited Tarmac Ltd in Hendre outside Mold to see the work they were undertaking and how raw materials excavated from Delyn are being used in infrastructure projects across the UK. The quarry is part of the Tarmac group which is the UK’s largest supplier of construction materials. The resources extracted from Delyn have been used to construct the M6 motorway. I campaign on many issues throughout Delyn as the needs of my constituents are my priority. If you are concerned about local issues, want to fight for local services, are interested in getting involved locally or are interested in helping fight for a better future for Delyn contact me [email protected] or alternatively please complete the form here. Each week I hold sessions across the constituency so constituents can come and discuss with me the issues they might be facing that I can help with and their concerns on political matters. No appointment is needed and I see everyone who attends on a first-come-first-served basis. I want to hear from my constituents about any issues that they have. Please use the contact form here to get in touch.